If you are looking for a trendy or fashionable exhibition, Doosan Gallery Seoul’s “Cour des Miracles” is probably not the right one for you. It surely will not meet your need for escapism. Here, you will not find a soothing, relaxing or sublime experience. But the exhibition offers a different kind of sensory experience. “Cour des Miracles” is an exhibition curated by Bae Enn-a, the winner of the 2018 Curatorial Open Call, a new biennial award that the art center launched this year. The exhibition title, “Cour des Miracles,” translates into “Court of Miracles” and refers to the slums of Paris that existed before the Haussmann renovation of 1853-1870 turned the French capital into what it is today. Many residents of the slums survived by begging, and some faked illness or infirmity to solicit more money. Once they returned home, “blind” beggars could see and “lame” beggars could walk again, “miraculously.” The original “Cour des Miracles” was an alienated and hidden space where truth was revealed. The exhibition “Cour des Miracles” is a similar space. “One can consider the exhibition as a space where each artist has unpacked little secrets that they had kept inside. Instead of showing something objective, the artists here share their personal experiences. The works presented here tried to eliminate performative devices. They have tried not to be pretentious or obsessed with becoming sublime, pure and tidy,” Bae said. The exhibition comprises works by four individual Korean artists and one team: Cho Eun-ji and Alice work as a team, and the individual artists are Park Seung-won, Park Jong-ho, Chung So-young and Hong Seung-Hye. Entering the gallery space, visitors are welcomed by hypnotic sounds. On the gray concrete floor, a searchlight moves over the other artworks. This work by Hong Seung-Hye creates the mood for the intimate, yet intimidating, secret garden. 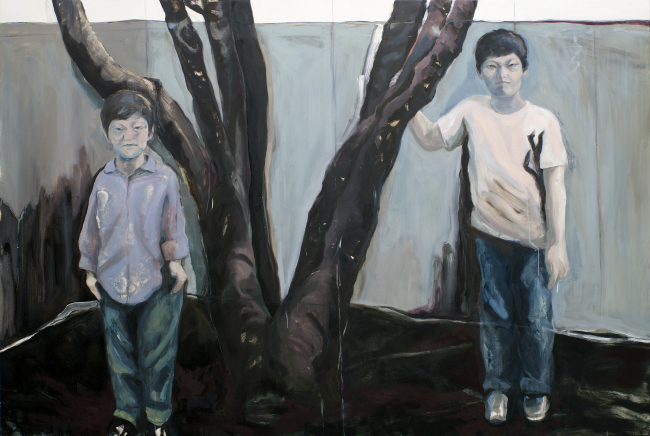 On the walls, painter Park Jong-ho’s portraits of children exude a dark, gloomy atmosphere. The children are surrounded by somber colors -- ones that people do not readily associate with children. On the other side of the gallery is a screen hung from the ceiling that shows a person with a plastic bag over his head. The bag is decorated with black feathers. 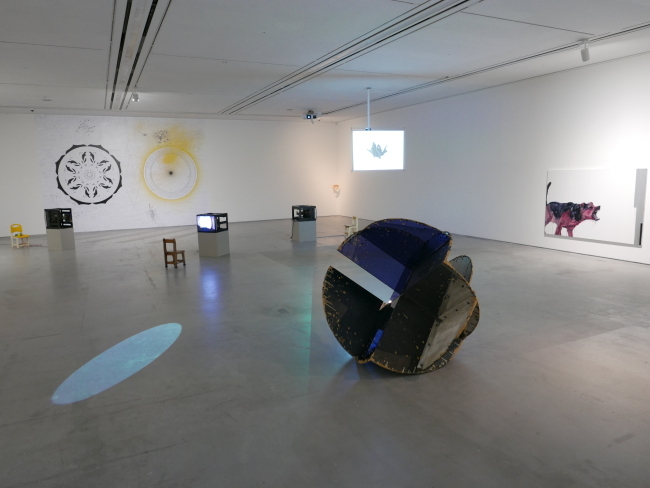 At the center of the exhibition space is another screen showing a video of the artist urinating. Another video shows a man gulping water from a plastic bottle. These videos by Park Seung-won expose humans as deficient, suppressed or suffocating -- as unheroic and passive entities. In a corner, there are small pieces of fabric that artists Cho and Alice grew out of bacteria and yeast, creating a very alien ambiance. Anything but aesthetically pleasing, soothing or sublime. The effect of these works on the audience is sensory and conceptual provocation. In Park’s painting, dogs bark directly at the audience. Though the children’s mouths are closed in his paintings, they stare at viewers as if to condemn. 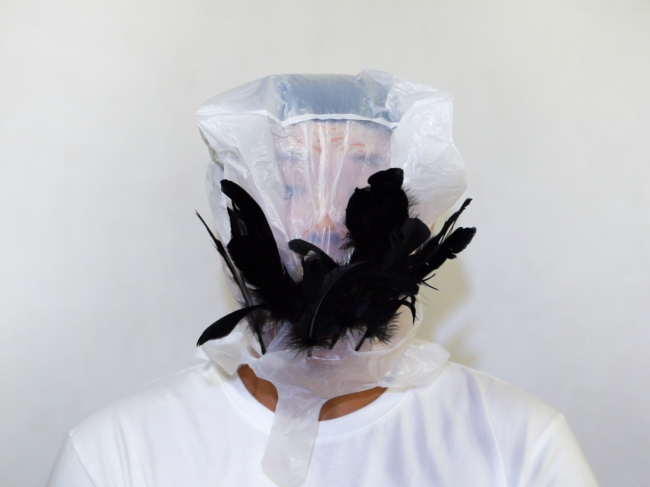 Watching a man struggling to breathe with a plastic bag over his head, visitors feel as if they are suffocating. They get thirsty watching the other man gulping down water. The works evoke images, memories, thoughts, emotions and desires that people might have kept secret or put aside. By evoking them, the works bring them to the surface and make them more immediate, forcing viewers to confront what they conceive of as norms.